Hey pet-lovers, this post is for you! 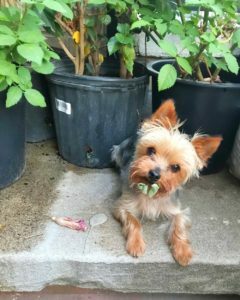 Most dogs (including my 6 pound Yorkshire Terrier, Sasha) love to eat vegetables, fruits and other human foods. While some vegetables and human scraps can provide vitamins and minerals, there are many others that can be extremely dangerous and potentially fatal. 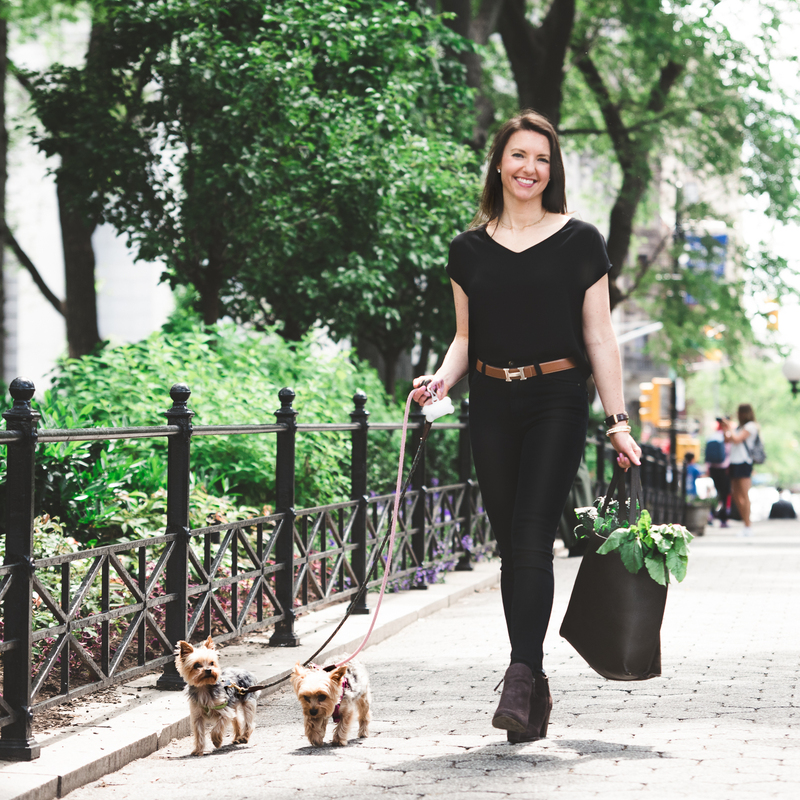 Because I think it’s important to keep my dogs healthy as much as myself and my clients, I want to share with you the worst foods for your pet, so you can keep your furry friends HAPPY and HEALTHY. Humans love avocados. They’re creamy, delicious, and loaded with anti-inflammatory properties and heart-healthy benefits; however, for our four-legged friends (and even two-legged friends like birds), avocados can be very dangerous! Avocados contain a compound called persin, which can cause severe vomiting and diarrhea, and in birds may cause severe congestion and possibly even fluid around the heart. So keep those avocados away from your pets. Garlic, onions and chives contain many healthful compounds including a compound called allicin that may contain anti-cancer properties for humans; but for dogs and especially cats, garlic, onions and chives can cause severe gastrointestinal irritation, so try to keep your pets away. Grapes and raisins are popular when it comes to sprinkling on salads or enjoying as a snack; but be careful not to let those slip off your plate and onto the floor and into the paws of your pet. The toxic compound in grapes and raisins has yet to be identified, but in both dogs and cats, raisins and grapes can cause kidney failure. Although extremely popular with humans, chocolate, coffee and caffeine are especially dangerous to pets as they contain compounds called methylxanthines. Methylxanthines are one of the worst foods to give your pets because they can cause vomiting and diarrhea, excessive thirst, abnormal heart rhythm and hyperactivity in animals. Symptoms can also include tremors and seizures and in some severe cases, death. It’s important to keep these foods away from pets, and to be especially careful of darker chocolates as they contain more methylxanthine. Like many lactose-intolerant humans, pets do not produce a lot of the enzyme, lactase, which is necessary for breaking down the carbohydrate lactose found in dairy products. Therefore, when pets (like humans) consume too many lactose-containing foods (milk, cheese, ice cream) they too can end up with diarrhea, gas and other uncomfortable gastro-intestinal symptoms. Although many pets may be sensitive to lactose-containing foods, pet-owners often choose to use cheese for training- if this is the case, choose a lower-lactose cheese such as cheddar. We tell humans not to eat artificial sugars and sugar alcohols, and pets shouldn’t have them either. Xylitol is a sugar alcohol found in many candies and when consumed can cause insulin release from the pancreas that can lead to hypoglycemia (low blood sugar) and severe liver damage. In addition, xylitol can also cause gastro-intestinal distress such as vomiting and diarrhea. Keep this and other artificial sugars (as well as sugars) away from your pets. I know many dogs that love to take a sip of their owners alcoholic beverage, but it’s important to keep alcohol-containing beverages far away from pets. Alcohol is one of the worst foods to give your pet because it can cause changes to your pets nervous and respiratory systems and in some cases can be fatal. Next time you make fresh pizza-dough, or any other yeast-containing dough, be sure it doesn’t fall onto the floor and get into the paws of your pet. Yeast-containing doughs (especially when raw) can cause major gastrointestinal distress as well as lethargy and may even cause low body temperature in pets. Cooked doughs are slightly less dangerous, but consider limiting them too. Want to read more, check out our blog HERE!